As you may or may not know, I think cooking is a terrific art form. I love that it’s not only a wonderful creative outlet, but also delicious (if done correctly, ha). It’s undeniable that food is love. 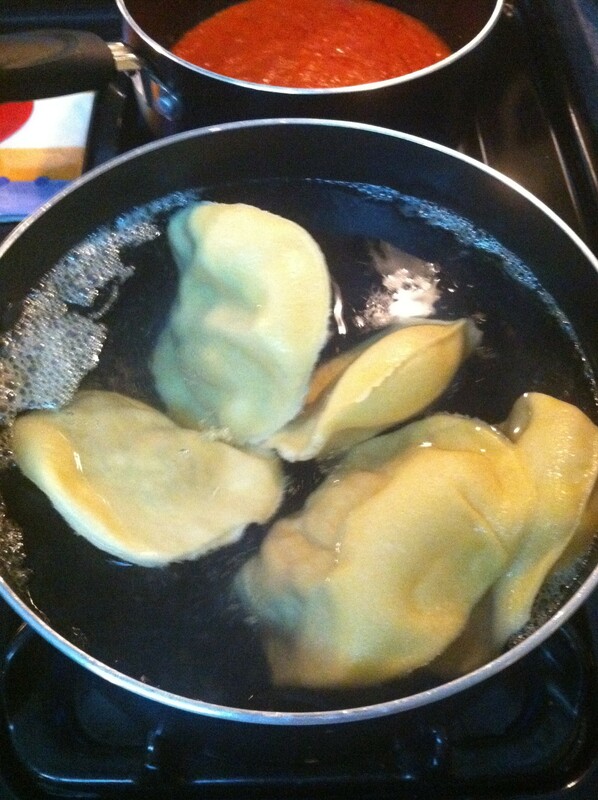 With that said, it’s not every day that I take on the task of making something like ravioli. But, my buddy Sean who is a big cook suggested we do it, and I can’t pass up a food challenge. 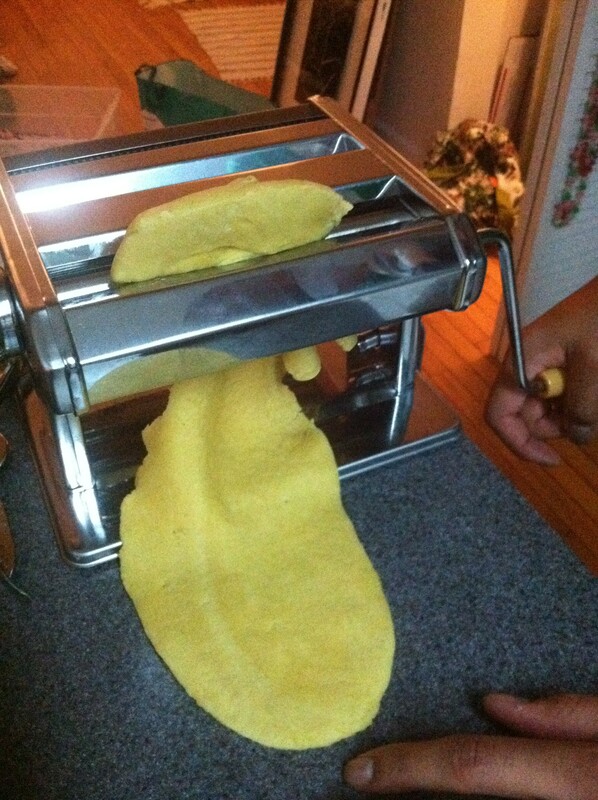 So he brought the pasta-making gear, I got the ingredients, and we went to work. Little did I know it would take about 2.5 hours from beginning to end — and for those that know we well, I’m not the most patient — but we channeled our inner Italian grannies as we cranked the pasta maker and got through it. Honestly though rolling out the dough isn’t as quick and easy as it looks, but with a little practice it wouldn’t be too bad. Sean was so precise, he even whipped up an egg glaze to seal those bad boys. If we wanted to get really fancy, we could have used one of those jagged edge trimmers to cut them out. Next time. 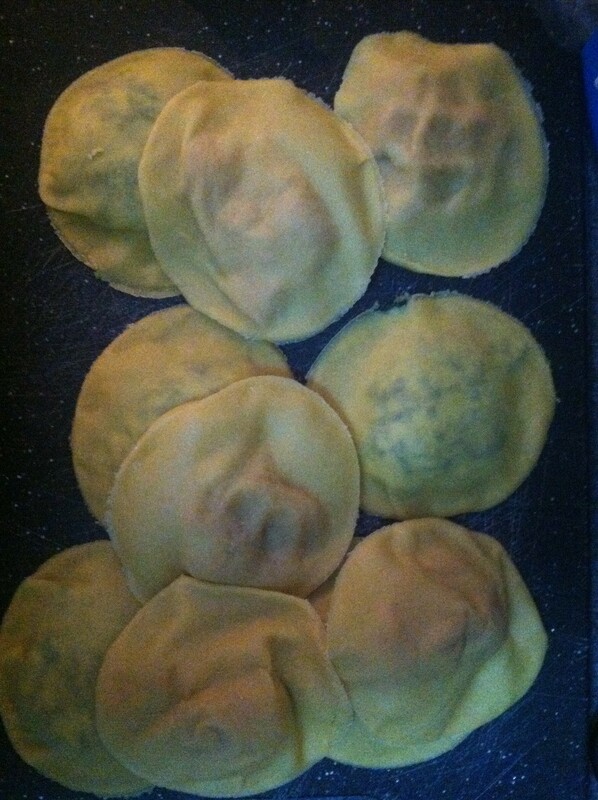 HOWEVER, we did have one epic fail — we stacked the fresh ravioli on top of each other while preparing them — and they STUCK. Seemed so obvious after the fact, but somehow we overlooked that minor detail in the moment. 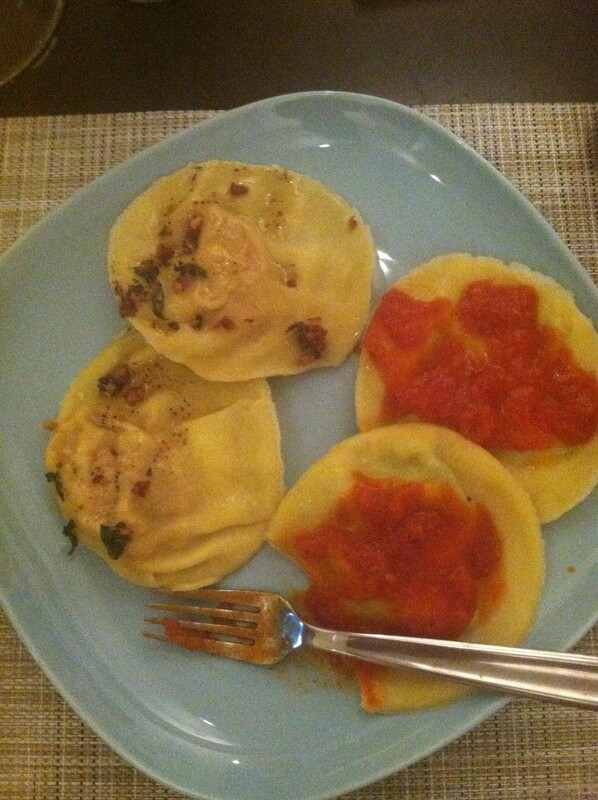 But, we still managed to have enough raviolis for a perfect meal. Viola. 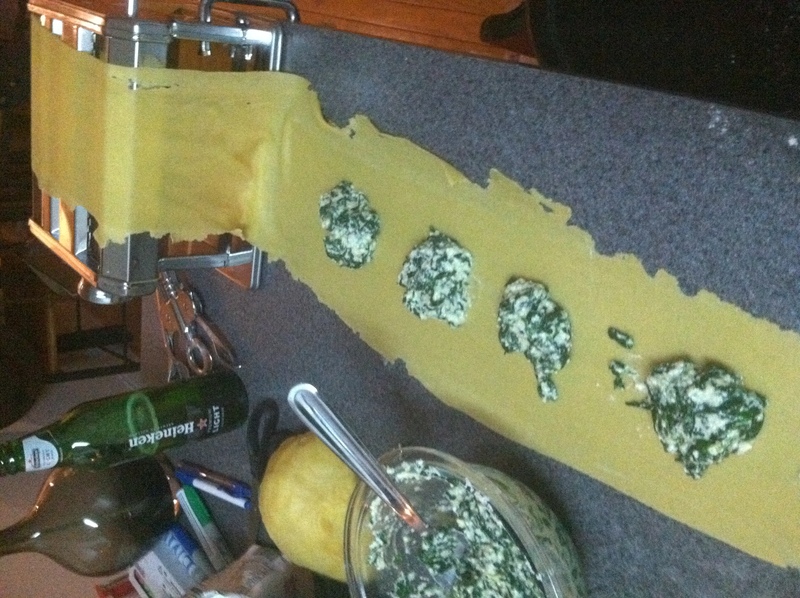 Ravioli with not one but two different kinds of fillings — spinach and ricotta, and butternut squash. It was yum-to-the-tum, and such a cool cooking adventure!